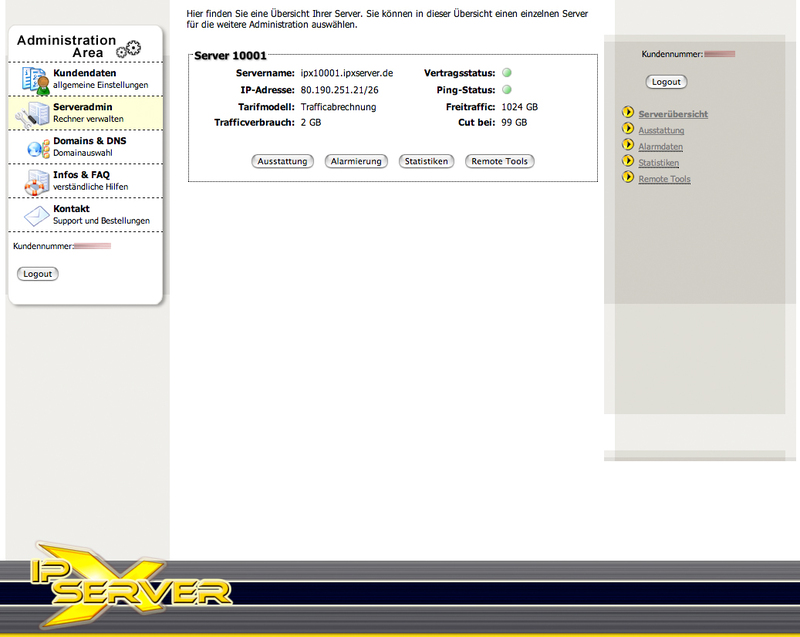 After a week of testing schrankmonster is back on it’s “old” server. I successfully finished the one-week-free-test which IPXServer offered me. 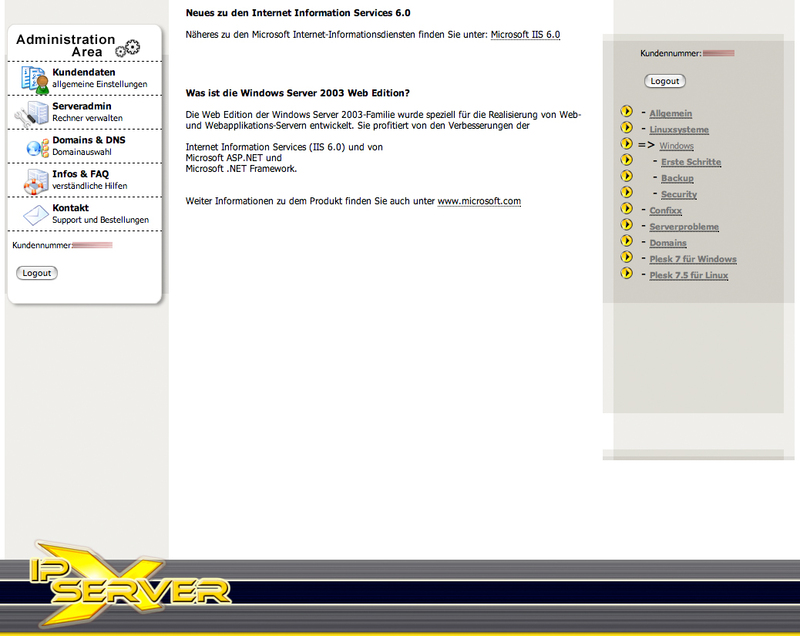 But first things first: At the moment I am planning to move this website (and some other) to a new and dedicated machine. Therefore I am looking for a hoster that has the best offer…and IPXServer seems to deliver the best price-performance ratio. So I asked for some more information about their products (actually their site is…crap) – and they offered me a one week test of a server of my choice. 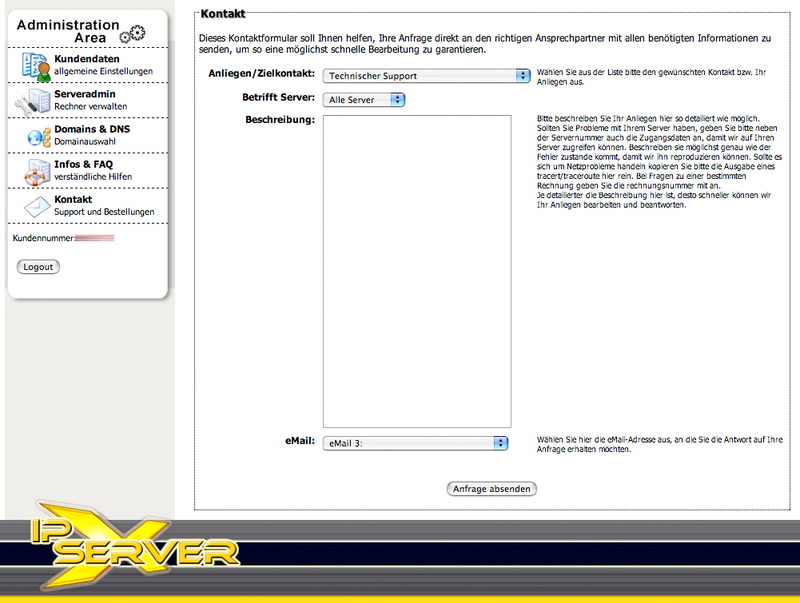 there’s a VERY SHORT FAQ section. To come to a conclusion: All testing went fine so far. 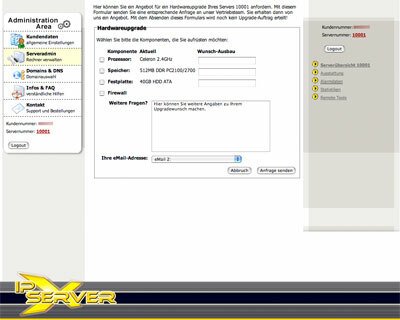 The machine delivered the performance I expected – the network even delivered better performance than I expected (about 7 megabyte/s down-speed from that machine to my home machine). 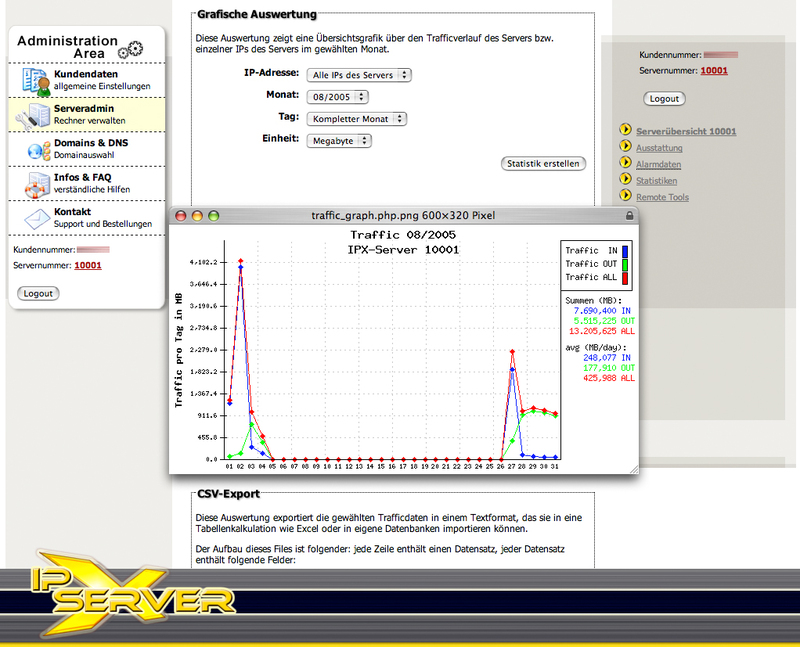 Additionally IPXServer delivers the best price-performance ratio. 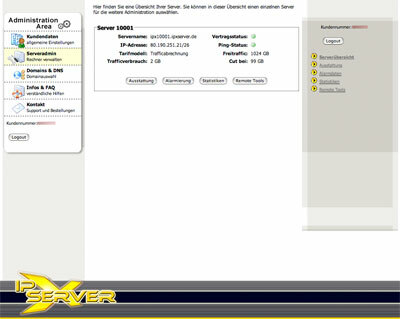 Considering the fact that the IPXServer eMail support normally responded in less than 2 hours to any eMail I sent them – there’s nothing bad I could say about IPXServer. 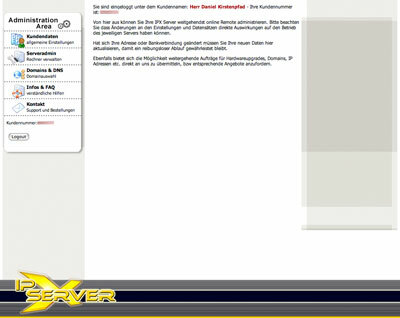 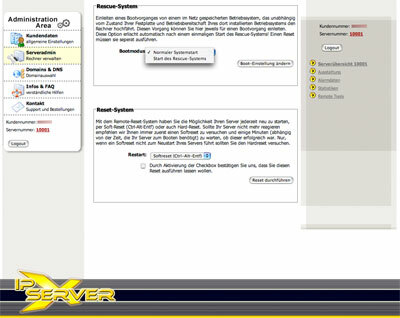 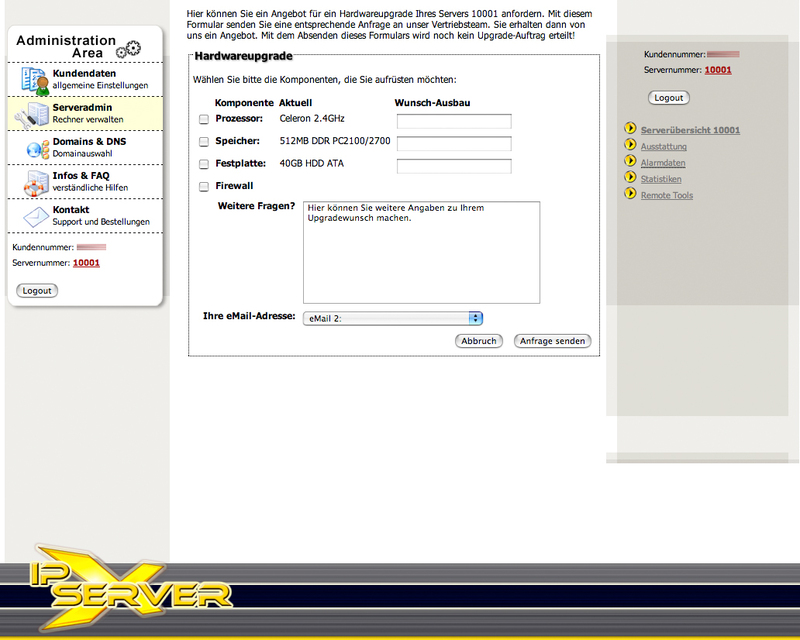 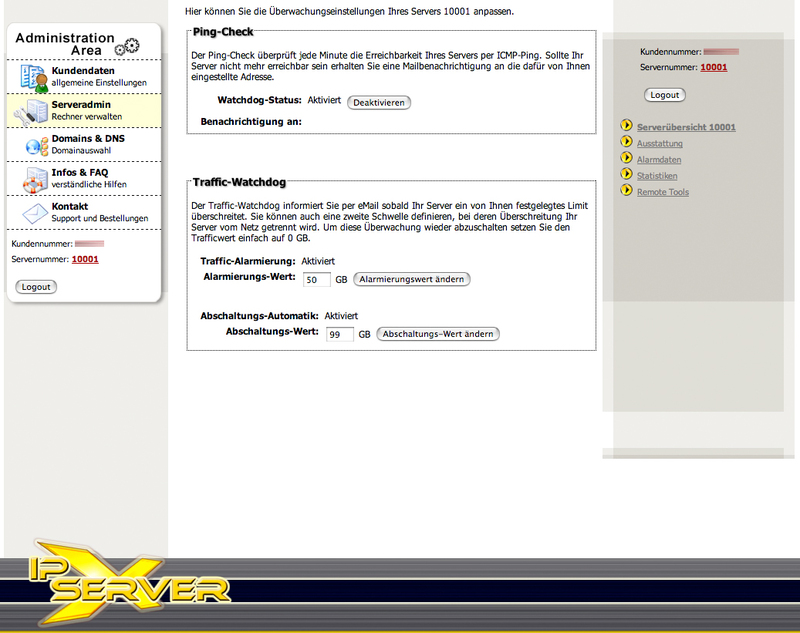 I am sure that I will become a customer in the future: I really can recommend IPXServer so far.